Home/Industry News, Technology/What is Disaster Recovery as a Service (DRaaS)? Click Here to Contact Us[/fusion_button]DR and Business Continuity is no longer just about recovering your data, nowadays it is also about providing ongoing access to that data and the ability to continue to communicate effectively with your clients and vendors when an outage or catastrophe occurs. Disaster recovery as a service (DRaaS) is the replication and hosting of physical or virtual servers by a third party to provide failover in the event of a man-made or natural catastrophe. Here, USA Voice & Data shares an informative article from ‘DRaaS for Dummies‘ on how to better understand the benefits of DRaaS in the case of a natural disaster. ‘Disaster recovery (DR) planning has a reputation for being difficult and time-consuming. Setting up alternate processing sites, procuring hardware, establishing data replication, and failover testing has been incredibly expensive undertakings. To top it all off, the need for 24x7x365 business application availability threatens to make disaster recovery planning an exercise in futility. 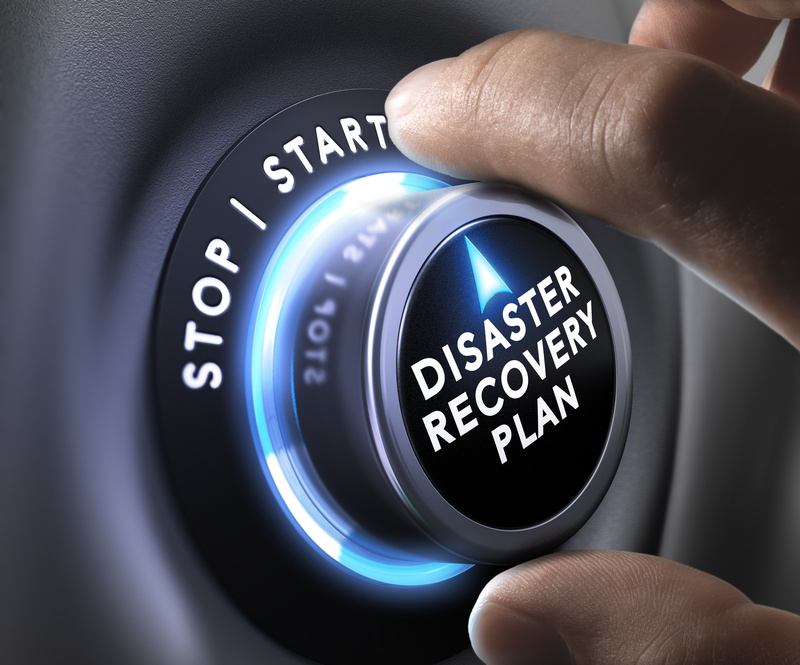 Disaster Recovery as a Service, or DRaaS, is turning the DR business on its head. The responsibility for all of the gritty details one used to have to juggle in order to ensure that every system, file, database record, and network element was duplicated at an alternate processing site can now be passed onto a trusted service provider. A face — not just an interface. audience. DRaaS For Dummies lays the foundation for this new approach to DR. After reading this book, you’ll have a new appreciation for DR professionals and how difficult it used to be for them. Disaster recovery (DR, for short) is the undertaking whereby an organization invests in computing hardware and software to be used in the event that a disaster renders the primary processing site unavailable. That’s about as simply as I can describe it, but in reality, it is far more complex than that. People in today’s always‐on, always connected world are far less forgiving of unscheduled downtime that occurs, regardless of the reason. In this world, application availability is king. Not that long ago, people tolerated applications being down for hours or even days at a time (considering the circumstances, of course), but today even a fraction of an hour is considered inexcusable. We want our application and we want it now! In this chapter, you’ll get a chance to take a look at application availability expectations, the mechanisms that comprise DRaaS, and the benefits that organizations can enjoy with DRaaS solutions. corruption, and disasters. In today’s point‐and‐click world, business users think it’s easy for an IT organization to create a fault‐tolerant, disaster‐proof environment. CIOs and others in IT know it’s anything but. In a hot site approach, the organization duplicates its entire environment as the basis of its DR strategy — an approach which, as you’d expect, costs a lot in terms of investment and upkeep. Even with data duplication, keeping hot site servers and other components in sync is time- consuming. A typical hot site consists of servers, storage systems, and network infrastructure that together comprise a logical duplication of the main processing site. Servers and other components are maintained and kept at the same release and patch level as their primary counterparts. Data at the primary site is usually replicated over a WAN link to the hot site. Failover may be automatic or manual, depending on business requirements and available resources. Organizations can run their sites in “active‐active” or “active‐passive” mode. In active‐active mode, applications at primary and recovery sites are live all the time, and data is replicated bi‐ directionally so that all databases are in sync. In active‐ passive mode, one site acts as primary, and data is replicated to the passive standby sites. Effectively a non‐plan, the cold site approach proposes that, after a disaster occurs, the organization sends backup media to an empty facility, in hopes that the new computers they purchase arrive in time and can support their applications and data. This is a desperate effort guaranteed to take days if not weeks. organization’s recoverability needs, some applications may appropriately be recovered to cold sites. Another reason that organizations opt for cold sites is that they are effectively betting that a disaster is not going to occur, and thus investment is unnecessary. I don’t think this is a smart move. application to a warm site than a hot site, but it’s also a lot less expensive. The trouble with all of these hot‐warm‐cold approaches is that they do not meet today’s demands for cost effective and agile recovery. Users typically expect applications to be running within a fraction of an hour. Engineered correctly, a hot site can meet this demand, but at spectacular cost. Warm and cold sites don’t even come close. It should not come as a surprise to you that most organizations “go commando” with regards to their DR plans. They have little or nothing in the way of policies, procedures, or technologies that enable the recovery of critical systems at any speed. This is understandable, as rapid recovery capabilities have historically been so expensive that only the largest organizations could afford them. Data backup is an essential part of sound IT management. We all know that things occasionally go wrong in IT, and data loss is a result that no one will tolerate. Since the early 2000’s, many types of service providers have emerged and built entire industries that reduce the cost and complexity of many classes of technology. For instance, Software as a Service (SaaS), Infrastructure as a Service (IaaS), and Platform as a Service (PaaS) have created entirely new paradigms for businesses’ use of technology. service” offerings, advanced software enables DRaaS to simplify the entire process for organizations of any size as well as the service providers that offer this service. implement a high‐performing DR solution for its critical systems but without any of the complexities. Like other “as a service” providers, DRaaS providers take care of the back‐end complexity for their customers and provide a simple user interface for setting up and managing a DR solution. DRaaS solution will employ customer‐managed soft-ware for setting up and controlling cloud- based DR resources. While their vast scalability provides many cost advantages, going with a public cloud infrastructure means you will likely be foregoing a personal one‐on‐one relationship. If something goes seriously wrong — get ready to stand in line, if you can find a line to stand in! Organizations with their own data centers and private cloud infrastructure can definitely utilize DRaaS solutions. The software components that comprise DRaaS solutions can be installed on an organization’s own server infrastructure. In these types of situations, the HQ datacenter in essence takes on the role of the service provider for their different business locations. These solutions will reduce the effort and complexity of data backup and replication mechanisms for organizations that are required to keep data under their direct physical control. portfolio. Managed cloud service providers can include DRaaS as a part of a standard, hands‐ free offering that takes care of data backup and data replication details. This permits customers to concentrate on their software applications and other hosted components. in the same city as your primary site. This would not result in a good recovery scenario, since the hosting provider may be adversely affected by the same disaster that affects your primary site. Using a cloud‐based hosting provider is a cost‐effective way to build a secondary site. The main advantage is the preservation of capital. Virtually no investment in recovery systems is required since they are instead leased from the service provider if and when they are needed. Data is copied from databases, flat files, and virtual machine images to backup media residing on disc‐based storage, but could also include backup to magnetic tape or virtual tape libraries. The main distinction between backup and replication is this: Backup copies the entirety of a machine image, files, or databases (or the incremental changes since the last backup), in a one‐time operation that is then repeated periodically; whereas replication is the continuous or near‐continuous transference of updated disk blocks — say, batch updates every five minutes. Backup was once considered “good enough” for disaster recovery purposes. However, good enough implied that an organization was willing to wait days to recover their systems and get them running again. However, in today’s always‐on enterprises, backup is no longer good enough: Backup and replication together are necessary for organizations of all sizes to get its critical applications up and running in 15 minutes or less. The right strategy for today’s DR needs, then, requires both backup and replication: Frequent backup of virtual machine images and the replication of critical data. Together, these provide system recovery synergy that facilitates rapid resto-ration of critical systems. in “images”, which are large flat files that can be copied to a DR site for rapid recovery of servers. The power of virtualization and virtual machine management have contributed significantly to the power of DRaaS. another module receives the traffic and keeps your server VM’s and databases up to date, usually within minutes. DRaaS represents the next generation of rapid system data recovery and always‐on availability, helping organizations avoid downtime and business disruption without the high costs associated with traditional hot sites. The low cost and simplicity of DRaaS makes it available to an entirely new class of organizations. The ability to recover applications in the cloud, if and when needed, slashes the cost and complexity of recovery capabilities. Organizations that were on the sidelines, longing for DR capabilities, can now enjoy capabilities that were once reserved for large organizations. Are you in need of DR/Business Continuity/Security assistance? Click here to read more and contact the DRaaS experts at USA Voice & Data – we’ll quickly confirm if and how we can best help you.